The largest, brightest full moon in nearly seven decades will be on display in the coming days, promising Earth-bound sky-watchers a celestial "supermoon" spectacle. The full moon will come nearer to Earth than at any time since 1948. At closest approach, the moon will pass within 216,486 miles (348,400 km) of Earth's surface, about 22,000 miles (35,400 km) closer than average. The moon's distance from Earth varies because it is in an elliptical (egg shape), not circular, orbit around the planet. If skies are clear, the upcoming full moon will appear up to 14 percent bigger and 30 percent brighter than usual, making it what is called a supermoon. A supermoon occurs when the timing of a full moon overlaps with the point in the moon's 28-day orbit that is closest to Earth. 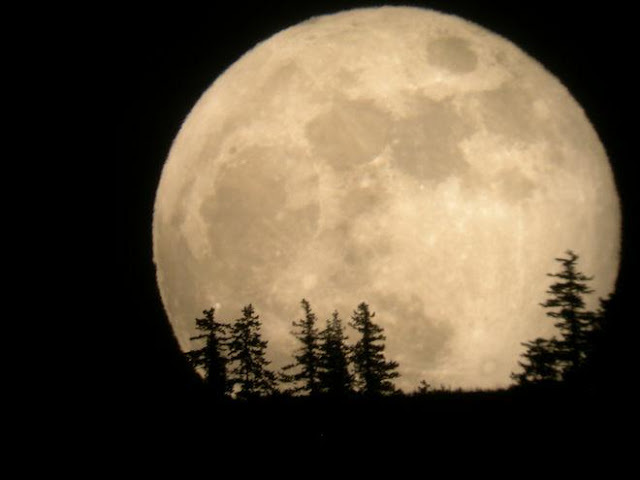 About every 14th full moon is a supermoon. The next time a full moon comes as close to Earth will be in 2034. Moon spotters here in India are perhaps the best placed to catch the moon at its absolute largest, with full moon on November 14, 2016 and occurring at 7:22 p.m.
To find out more about Supermoons, go to this link for 5 suprising facts about this phenomenon.